A thought leader on agile business processes, digital transformation, and the future of work, Lital Marom is an expert at helping organizations unlock the potential of their business by leveraging emerging technologies and new economic models. In her practical and engaging talks, she inspires business leaders to “disrupt themselves” and push beyond their limitations to future proof their businesses. Lital led the sales and global strategy of several Fortune 100 corporations across three continents before founding four companies. 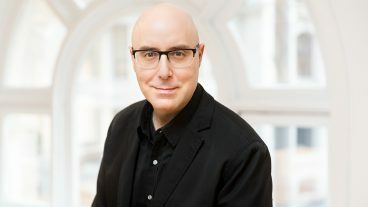 Currently the founder and president of the consultancy UNFOLD, Lital works closely with leading global brands to drive digital transformation through the integration of new business models and the application of emerging technologies, such as distributed ledgers (blockchain), artificial intelligence (AI), and machine learning (ML). 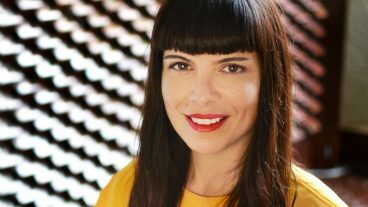 Lital is also the founder of The Academy of Tomorrow where she helps equip young professionals with the skillsets needed to become creative leaders in the 21st century. A sought-after keynote speaker, Lital focuses on innovation, digital disruption, new economies of scale, growth strategies, leadership in the 21st century and the future of work. She has spoken at TEDx Amsterdam, Mobile World Congress Asia, Interactive Advertising Bureau (IAB), Canadian Internet Marketing Conference, iHollywood, and many industry conferences around the world. She has also led masterclasses and innovation sprints through UNFOLD, Spark Institute, IBS Business School and Singularity University. Lital holds a computer science and business degrees from the Interdisciplinary Center Herzliya. She also studied investment banking at NYU’s Stern School of Business, transformative strategies and artificial intelligence at MIT’s Sloan School of Management, and is a fellow of THNK School of Creative Leadership. Shifting from an incremental to an exponential strategy is the first step towards real transformative growth. Much of this transformation is a result of rapidly accelerating exponential technologies such as Infinite Computing, Artificial Intelligence, Robotics, 3D Printing, Sensors, Networks, and Synthetic Biology. During this presentation, you will get a real sense of the shifts (taking examples from multiple industries) and the key principles that separate successful companies from the unsuccessful ones in the digital economy. Lital will explain how you could identify opportunities to innovate and transform your own business model before someone else will. As barriers to entrepreneurship disappear, the race for attention will repeatedly separate the winners from the losers. How do startups like Instagram, WhatsApp, and AirBnb build massive user bases without a marketing team? How do individuals like Eric Ries build a huge global following without ever appearing on the TED stage? How do self-published books like Fifty Shades of Grey gain worldwide appeal with no marketing budget? This keynote answers these questions by laying out a strategic framework to leverage the network to market you or your business. Today’s enterprises need to connect and engage with customers, partners and employees in new ways. The key to success for enterprises is to leverage the right business model as well as the relevant emerging technologies to create and to monetize their value. Lital customized her talk to focus on the leading business structure as well as technologies that you’ll need to consider to drive your business, digital transformation, and innovation. Industries that can have a custom focus for this talk include: Tourism/Travel, Automotive, Banking, Insurance and Education. The ever growing gap between the skills people learn and the skills people need is becoming more obvious, as traditional learning falls short of equipping students with the knowledge they need to thrive, according to the World Economic Forum. So, what separates individuals with strong 21st century skills from individuals competing without these skills? How can we prepare young professionals to thrive in this new world that is unfolding? Lital’s captivating keynote and deep knowledge was instrumental to helping us learn key considerations for platform-building. She is able to take big ideas and theory, and apply it to specific verticals in a practical and actionable ways. This is important for anyone looking to adapt and scale with the agility required in the world today. Lital is such a dynamic and engaging speaker. Her presentation at IAB MIXX in Toronto was provocative and extremely well received by our audience members. Her timely material transforms issues that most see as threats into tremendous opportunities. Lital clearly articulates a winning framework for organizations to adapt and thrive by diving into new business structures and models that work for today’s fast-paced environment. The Platform masterclass was an eye-opener for our team and Lital’s engaging presentation and participatory method was well suited for the subject matter. The session generated important discussion amongst the group as we consider the implications for our organization moving forward. A must for any organization looking to stay competitive in a rapidly evolving business environment. Lital’s insight and ability to convey the fascinating opportunities of exponential technologies and big data have been extremely inspirational and motivating. Some of her slides will be useful for my work. Lital’s energy and enthusiasm is infectious. She ‘gets it’ better than most. [Lital] has an uncanny ability to sort through all the hype and focus on the developments that are really going to make a difference. This was an interactive and collaborative experience, leaving the participants in the room with an understanding of what the future will look like and how to act on it immediately. Can’t say enough! Lital’s opening keynote is critical for anyone playing a critical role in business today. Her deep conceptual insight and rich practical advice was instrumental to our audience at the Institute of Internal Auditors Canada (IIAC) national conference this year. Thank you Lital. We went globally searching for thinkers, tools and approaches in innovation that are different and go beyond what everyone else is doing. Design thinking, experimentation and agile are all democratised tools of innovation that took us so far – but didn’t competitively differentiate us. Then we stumbled across Lital and platform thinking. This solves so many gaps in mainstream innovation approaches – thinking too small, demystifying platform business models, speed to market and scaling challenges. In my view she’s a global best in class in this space, and her work will truly move the dial on corporate innovation where most efforts fail.